It is very common to be concerned and fixated on body image, particularly when things happen to our body that we can’t control. We get uneasy when we think that others may perceive us in a negative way, and as humans we spend so much time concerned with how we look. Thankfully, there are people like Brandalyn Mae Porter around. Brandalyn works with older people in a Texas nursing home, and she’s having an enormous impact on those she helps with her positive attitude everyday. It was while she was painting a new resident’s nails that Brandalyn had an interesting thought based on a concern the woman had. She had the opportunity to create something positive from something that wasn’t so at first. 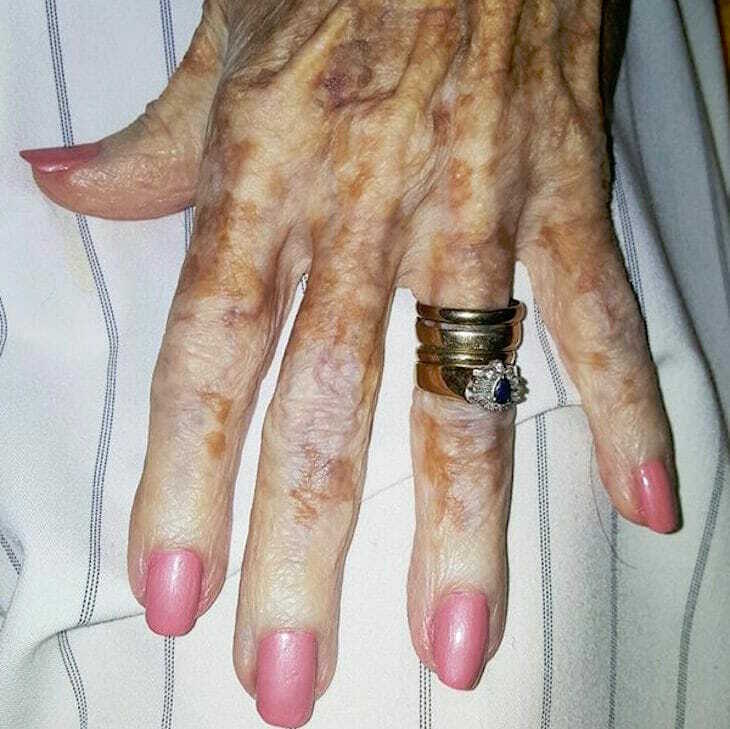 “Today I painted a new residents nails at work and as we were going over colors, she mentioned she wanted clear. And with that, she went with the color pink for her nails. Through her incredible words, Brandalyn was able to reignite the confidence of a woman who had no real reason to feel insecure about her hands. We need more stories like this in the world today!